today i woke up with a touch of a sore throat, my head was stuffy, and my eyes a bit goopy. ugh. did i just catch the cold that has been going around? great. 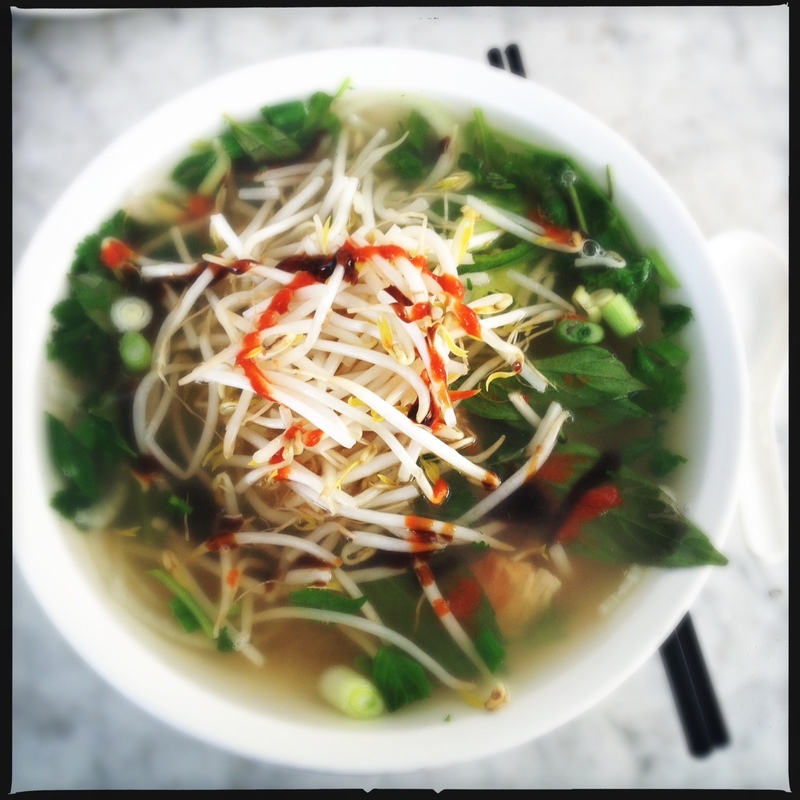 i discovered blossom vietnamese restaurant pretty early on living in downtown los angeles. since it is only a few blocks away, and has reasonably priced, quality, tasty food, i go there often. a few years ago, i got the start of what was in the makings of being a pretty bad cold. i hardly ever get sick, but when i do all i want is hot, steamy, spicy, brothy chicken soup. 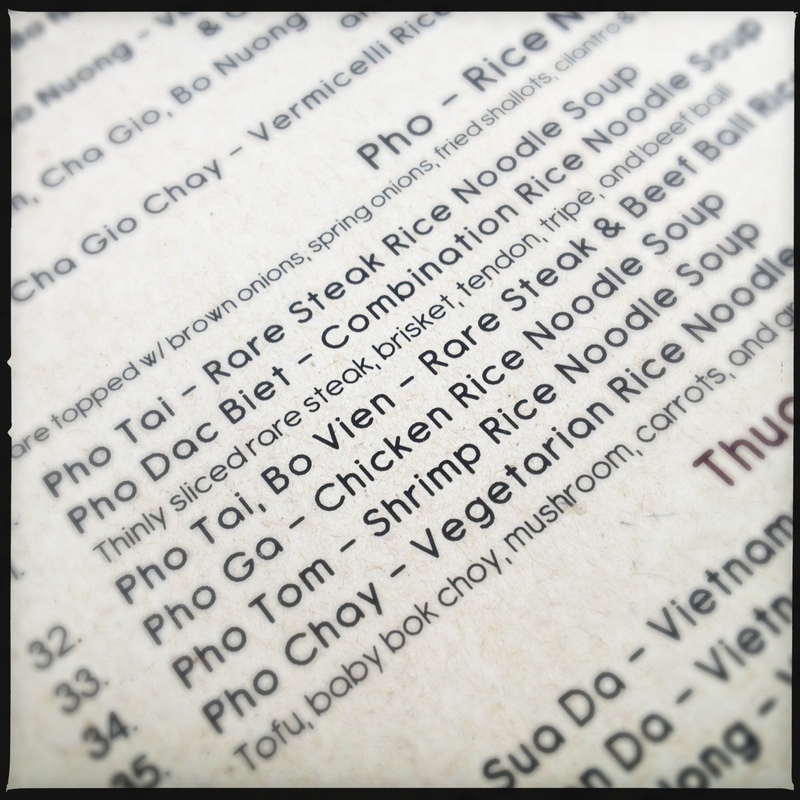 i remembered that blossom had phở ga on the menu, so i got on my trusty steed and biked up there. i must have sounded worse than i thought, or sniffled a bunch when i ordered, because the man taking my order asked if i was sick? then asked if i liked ginger and garlic? he said he would put some extra in, and that i should add it to the broth, and that it will help me feel better. i had heard of the wonders of garlic and ginger in the past, and i knew homemade broths are very healthy for you, but had pretty much thought that chicken soup wasn’t going to cure my cold, it would just make me feel better and comfort me. i was wrong. the next day my cold was gone. the chicken is juicy and never over-cooked. the broth is steamy and flavorful. 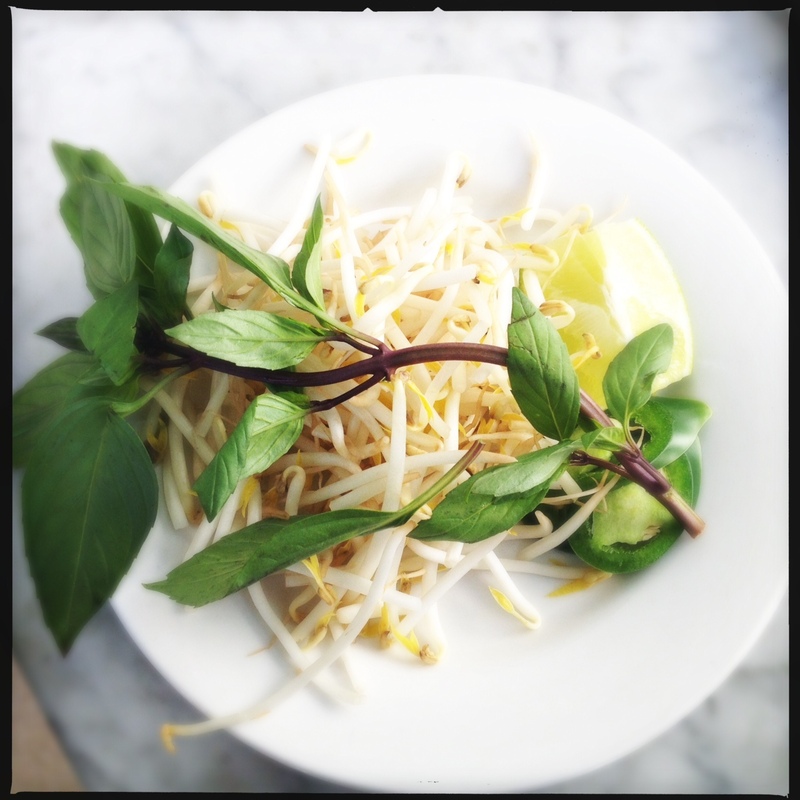 the bean sprouts, thai basil, jalapeño, lime, ginger and garlic are fresh and plentiful. all together with a little hoisin and sriracha hot sauce makes a big bowl of delicious medicine. so today when i woke up feeling crummy, i got on my trusty steed once again, went a few blocks west up winston street, and ordered what i now call ‘the cold killer’: phở ga with extra ginger and garlic. needless to say i am already feeling better.